The Ohio State University Police Division (OSUPD) has identified a crime trend in residence halls defined as burglary by Clery Act guidelines. OSUPD is actively investigating four burglaries from unlocked, unattended residence hall rooms in Morrill and Lincoln Towers. The crimes occurred between November 19 and November 28. Incidents are reported to have occurred during varied times. Items stolen include, cash, credit cards, electronics and gaming systems. A photo of the suspect is attached. 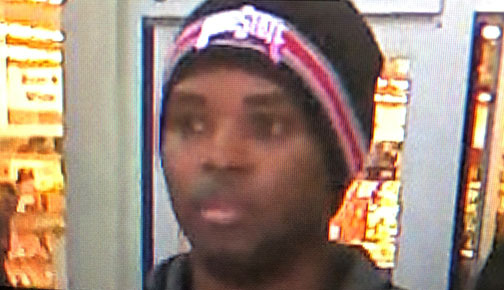 OSUPD continues to investigate and anyone with information related to these crimes, or the suspect’s identity, is encouraged to call University Police at 614-292-2121. Do not leave valuables unattended and remember to lock your residence hall doors. For those living off-campus, always remember to lock your doors and windows. Do not let unknown persons into residence halls and report suspicious behavior or missing property to police (safety tips). For students living on or off-campus, with winter break approaching, please take valuables with you. Record serial numbers from electronics and if you notice items missing when you return, report crimes to law enforcement immediately.